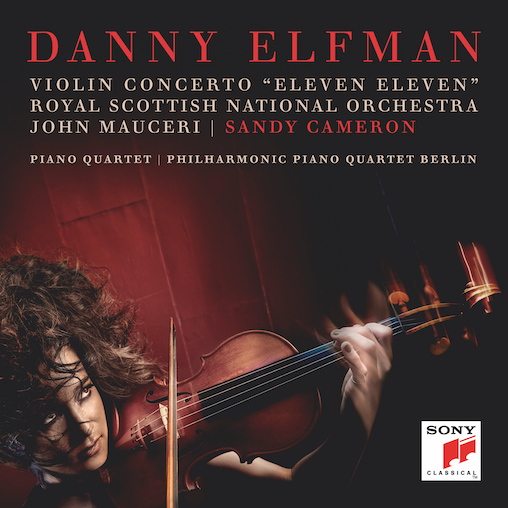 Columbia Artists congratulates Composer Danny Elfman, Violinist Sandy Cameron, Conductor John Mauceri, the Royal Scottish National Orchestra, and the Berlin Philharmonic Piano Quartet on today’s Sony Classical International Release of Danny Elfman’s Violin Concerto, “Eleven Eleven” and his Piano Quartet. The album release coincides with the Los Angeles premiere performance of “Eleven Eleven” with the Royal Scottish National Orchestra and Sandy Cameron on April 4 at The Soraya. 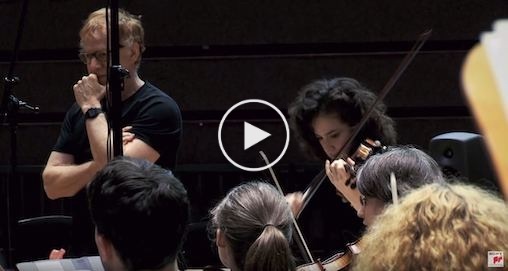 The Violin Concerto “Eleven Eleven” was co-commissioned by Prague Proms, Royal Scottish National Orchestra and Stanford Live, and composed for violinist Sandy Cameron, who gave the premiere in Prague in June 2017. The Piano Quartet was co-commissioned by the Lied Center for Performing Arts at the University of Nebraska and The Berlin Philharmonic Piano Quartet.